Additional volunteers are needed to help with our children’s religious education activities November 25 – December 23. This block includes pageant rehearsals during and after the service, as well as the pageant itself on December 16. 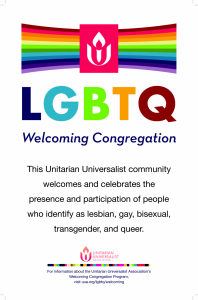 For more information or to volunteer, contact Heather Cleland-Host, DREHeather@uufom.org.